Today more than ever the passwords for all projects are sustainability, energy redevelopment, consumption economy, recycling and obviously, energy efficiency. 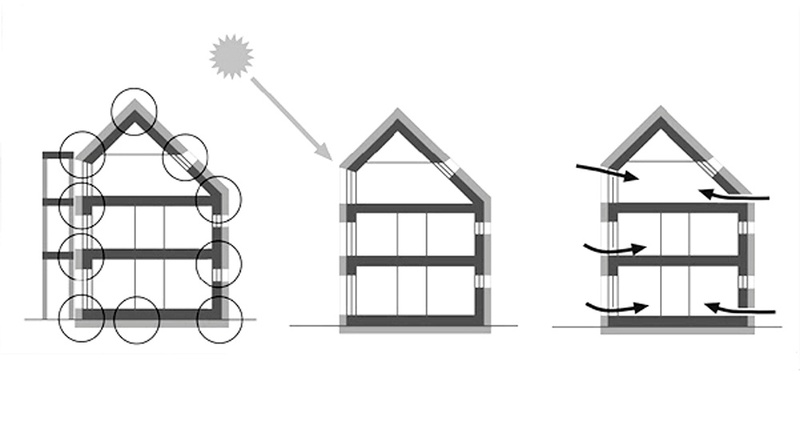 This is the starting point for a development in the building and sustainable architectural environment that must combine both design and technology with the use of materials and constructive solutions providing a low impact on the environment. Thermal insulation obtained through the use of insulating materials such as an insulating panel, allows to remove the exchanges of heat between interiors and exteriors; this fundamental principle on which a good insulation of a building is based and which is valid for all seasons. During the cold season, insulating materials prevent heat to disperse towards the exterior; during the warm season reversely, the insulation shall be fundamental to keep the interiors cool. Any discontinuity in the thermal casing will cause thermal bridges i.e. “cold spots” where dissipation will occur. 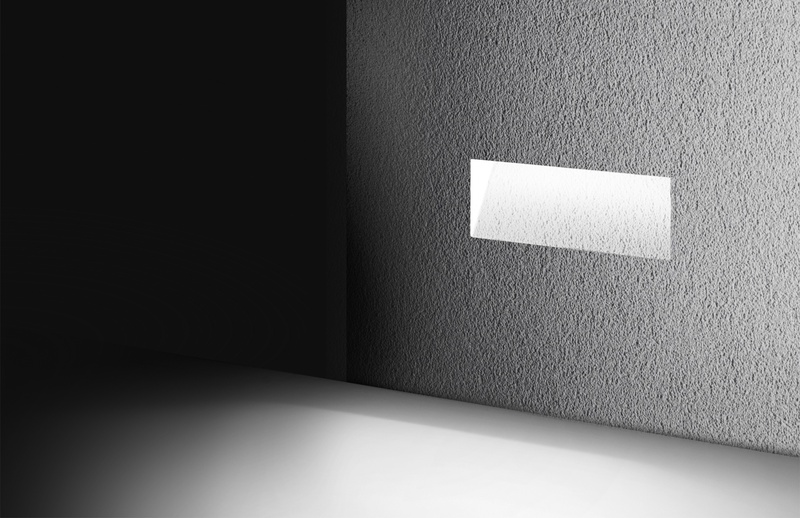 The unprofessional installation of luminaires on exterior walls of a building insulated by an insulating panel may can be critical. Expanded polystyrene is one of the most used and performing materials to achieve energetic comfort. It features excellent physical and mechanical capacities and a low thermal conductivity thanks to its closed cellular structure. It is a particularly long lasting matetrial, with standing weathering. 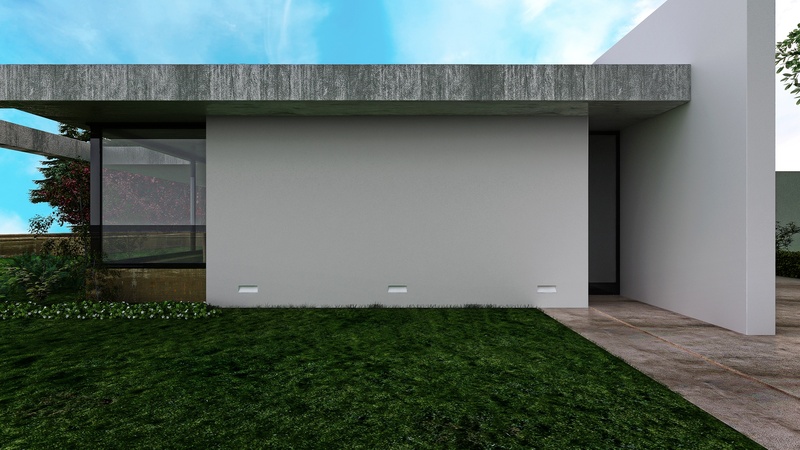 Based on these elements, SIMES has developed an exterior luminaire designed to be an out-and-out wall light, already integrated in a section of the insulating panel and destined to be installed with all the other insulating panels that will make up the insulation. 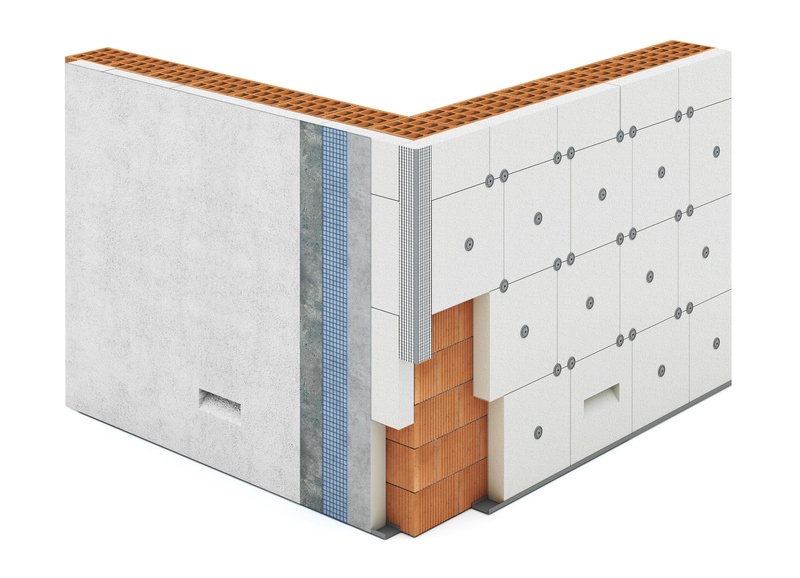 Ghost for insulated panel is inserted into a fireproof AE D35 polystyrene bloc. 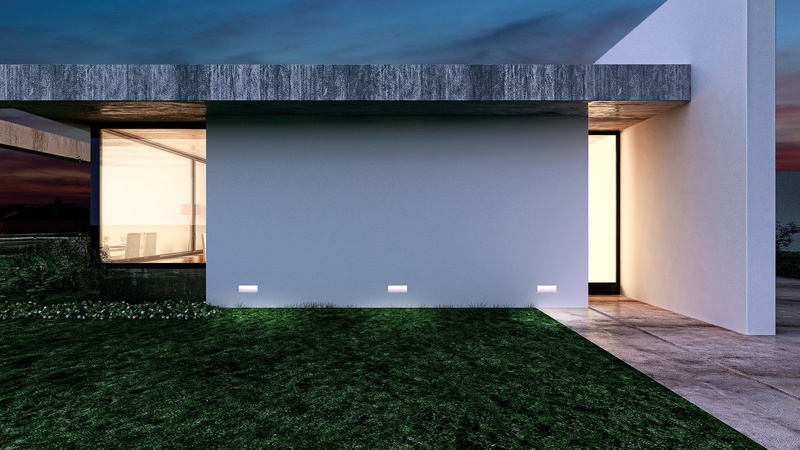 This in fact is a innovative way to illuminate the architecture not just for matching a lighting element with a structural architectural element but also for providing a light entirely integrated into the wall. 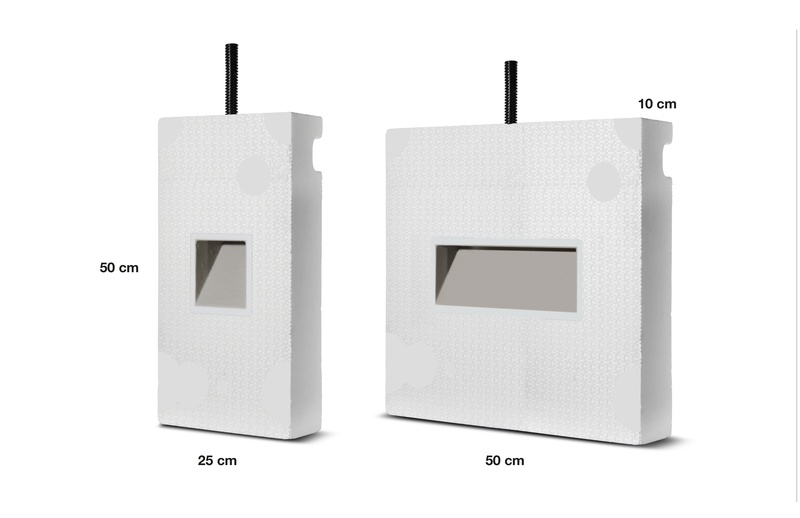 The range of Ghost for insulating panel is made up of a square version with 4 LEDs and one rectangular one with one 10W LED capable of covering an installation spacing of 4m between one product and the next one, with no dark areas on the ground. The height of the insulating element of which Ghost for insulating panel is made of, has been designed to match standard insulation ( H = 50 cm), where the thickness of 10 cm allows an easy integration with other insulating panels of the same or higher thickness. For installation provide the corrugated tube for electrification in advance and install the Brick Light panel in the just as if it were another insulating panel. The luminaire is delivered pre-wired with a piece of neoprene cable and a fast connector. GHOST for insulation panels_design by Marc Sadler from Simes S.p.A. on Vimeo. 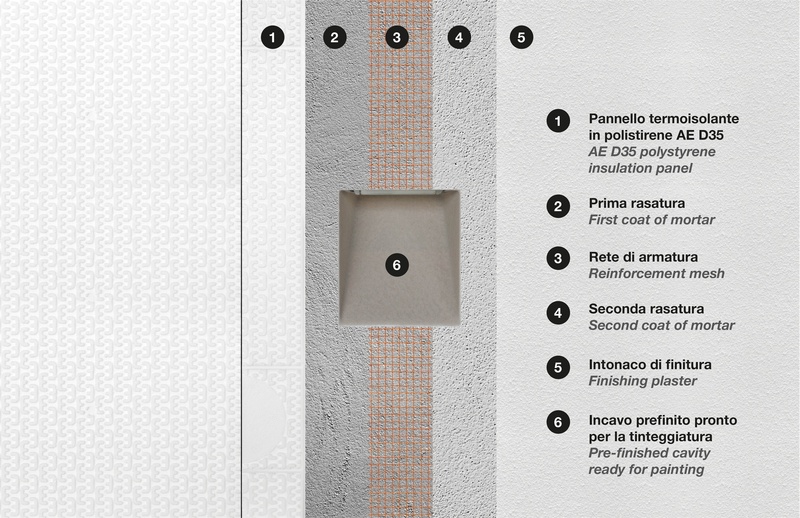 Once the panel will have been installed and aligned, finishing latter will be processed as for any other wall with exterior insulation: after a first shaving, a grid to be cut at the cavity of the product shall be installed. Afterwards a second shaving will follow and a second finishing plastering applied. The cavity for Ghost is already pre-finished for painting so that it can be painted in the same colors as the walls; this will allow the product to “disappear” within the architecture by fully integrating itself with it. Only at the end of the work the illuminating LED IP65 body will be installed. The body is pre-wired and will perfectly slot in the cavity arranged in advance in the insulating element. 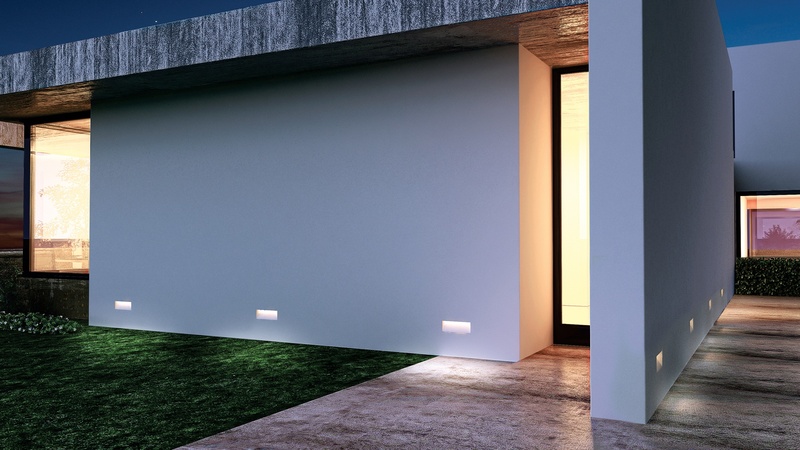 A marker providing soft and uniform light is thus achieved, perfectly resistant to corrosion and vandalism suitable for walkways both in the public and residential architecture. “The Ghost range works by subtraction rather than by addiction: no lighting body is added to the structure of the building, on the contrary a void has been created that must be filled with light. Ghost, what we want is to add only light”.